Police investigate after a body is found in a burned out car in Roseland on Sept. 30, 2015. 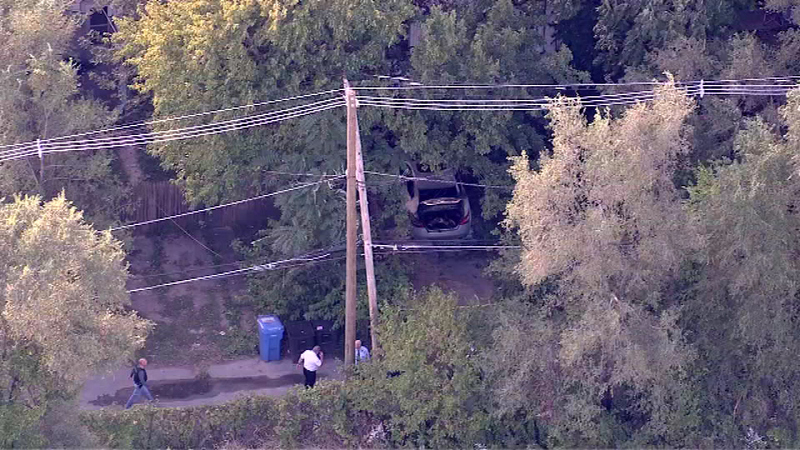 CHICAGO (WLS) -- A 28-year-old man found dead in a burned-out car in Chicago's Roseland neighborhood was identified. Police discovered the man's body in a vehicle near West 107th Street and South Eggleston Avenue around 2:10 p.m. on Sept. 30. The Cook County medical examiner's office said Laprents Cudjo, of the 14800-block of South Winchester Avenue in Harvey, Ill., was inside the vehicle and dead at the scene. An autopsy found Cudjo died of a gunshot wound to the head. His death was ruled a homicide. Area South detectives are conducting the investigation.